Jute Door Mats are a product designed from the organic plant, Jute that is renowned in the market for durability and strength. These floor mats have been proved highly beneficial due to their unmatched features and benefits. Jute mats are considered as one of the most durable rugs that last longer. Their high strength makes them highly popular in the market. Their hard wearing property makes them able to run for a longer period of time without any wear and tear. Jute door mats provide the user with unmatched level of comfort, style, and class. Their soft yet strong fibers give utmost level of comfort and soothe to the user. The feel of being comforted by these mats on your feet is what every user look for while buying a rug and jute rugs are exactly made for them. Adding a cozy and elegant effect on the style of homes, offices and any other establishments, these types of jute door mats give complete value of the money invested by the user. They not only give comfort at home to the user but also augment the beauty of the space. 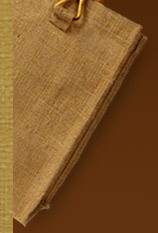 Jute door mats are not only stain resistant and free from microbes, but they are also free from any kind of chemicals. These anti-allergenic mats are ideal for sensitive people. Eco friendly values of these rugs are in high demand and sought after by the people around the world. Safe, easy to use and reliable, they have become the need of every customer, who looks for quality without burning a hole into his pocket. Their enticing designs and looks are always there to entertain the eyes of our visitors. 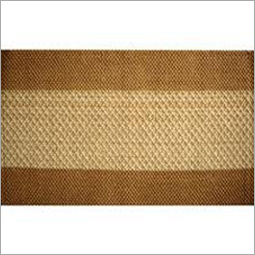 Jute door mats can be easily cleaned with a simple wipe of a damp cloth in seconds and that too without any effort. So obtain a Jute Door Mat to experience the ultimate comfort and style!